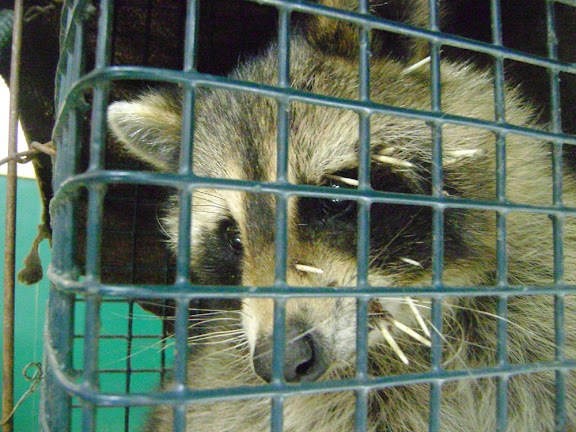 NEW ARC is the North East Wildlife Animal Rehabilitation Coalition. 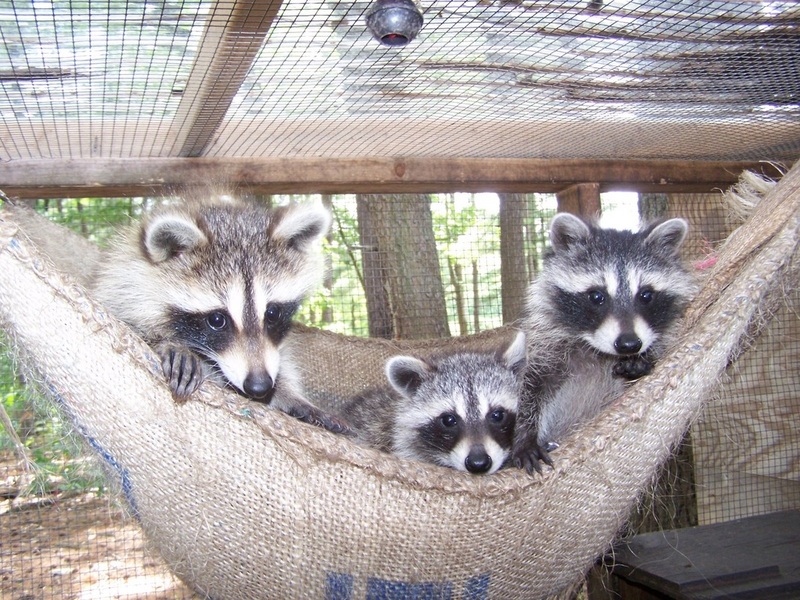 We are a group of home based, licensed wildlife rehabilitators, certified by The Massachusetts Division of Fisheries & Wildlife. 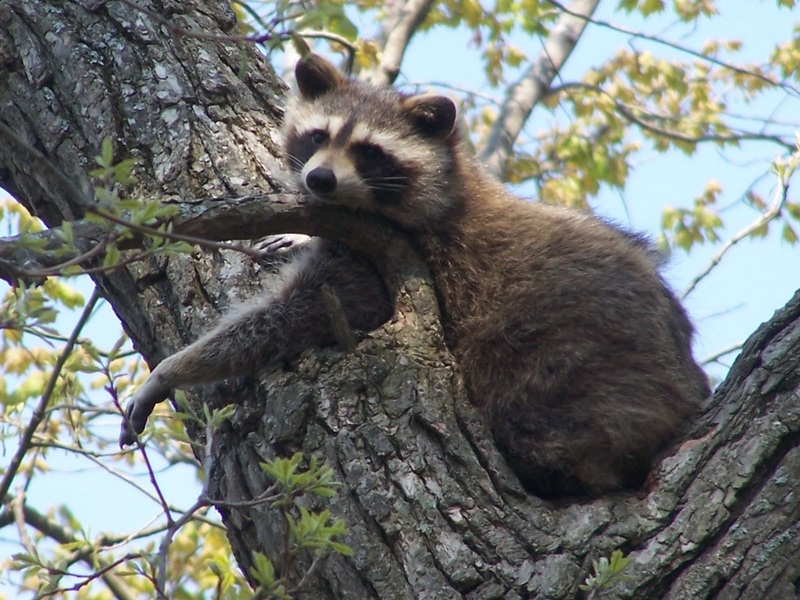 We work out of our homes in Wilmington, Billerica, Chelmsford, Barre and Arlington, rehabilitating injured and orphaned wildlife brought to us by the general public or other animal rescue agencies (such as the Animal Rescue League of Boston or MSPCA). 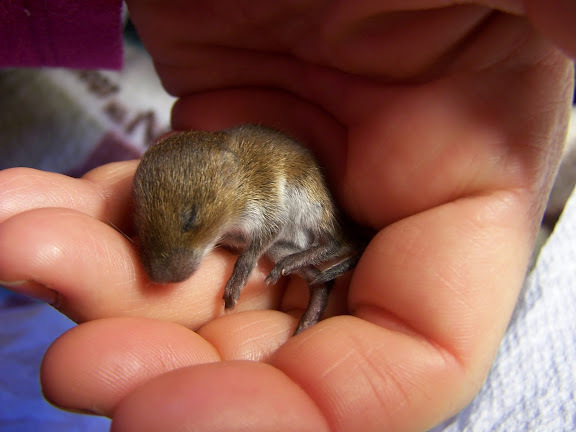 Injured animals are treated and orphaned animals are cared for until such a time as they are able to be released back into their natural habitat. Originally working individually, the ever growing number of animals in need of rehabilitation has brought us together to form one nonprofit rescue group to better serve the public and help the many different species brought into our care. NEW ARC is a 501(c)3 non-profit organization. We do not receive any state or federal funding and we are not compensated in any way. All expenses are out of pocket or from donations from the community and go directly to caring for the animals, toward expenses such as food & formula, medical care and supplies, capture equipment, cages, building materials and maintenance and all other services and supplies that are necessary to rehabilitate and release the animals that come into our care. 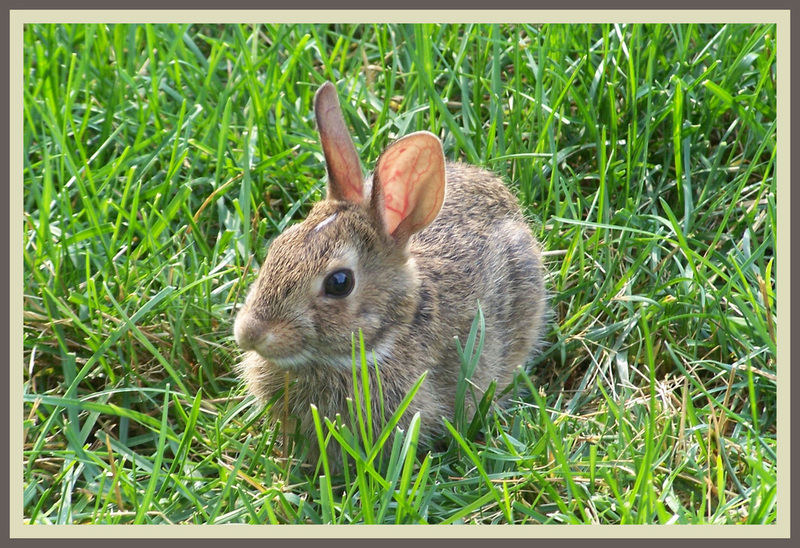 Species cared for are mammals and include, but are not limited to, raccoons, squirrels (gray, red & flying), cottontails, skunks, possums, chipmunks, fox, coyote, mice, groundhogs, and bats. 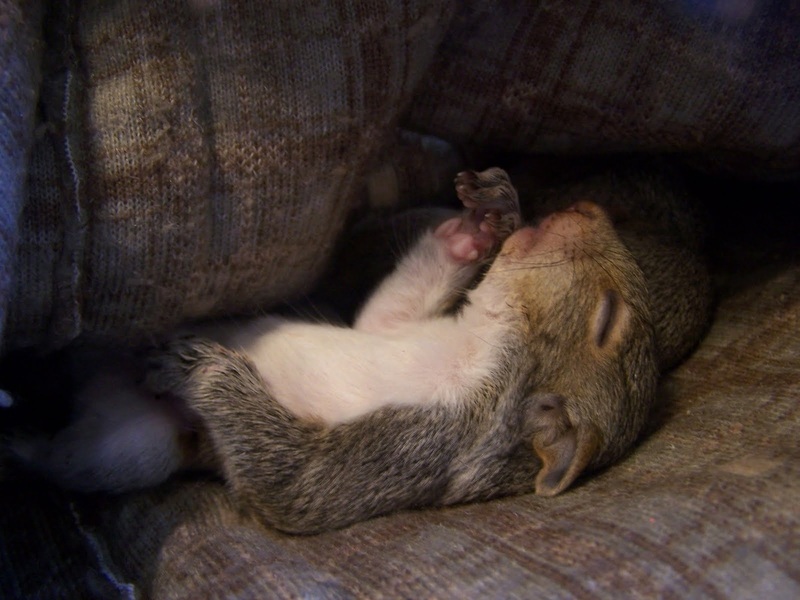 We help all wildlife in need to the best of our ability. Species such as reptiles, raptors and birds we do not rehabilitate, however we can usually recommend appropriate rehabilitators that do handle those species. Move over Noah....there's a NEW ARC in town! 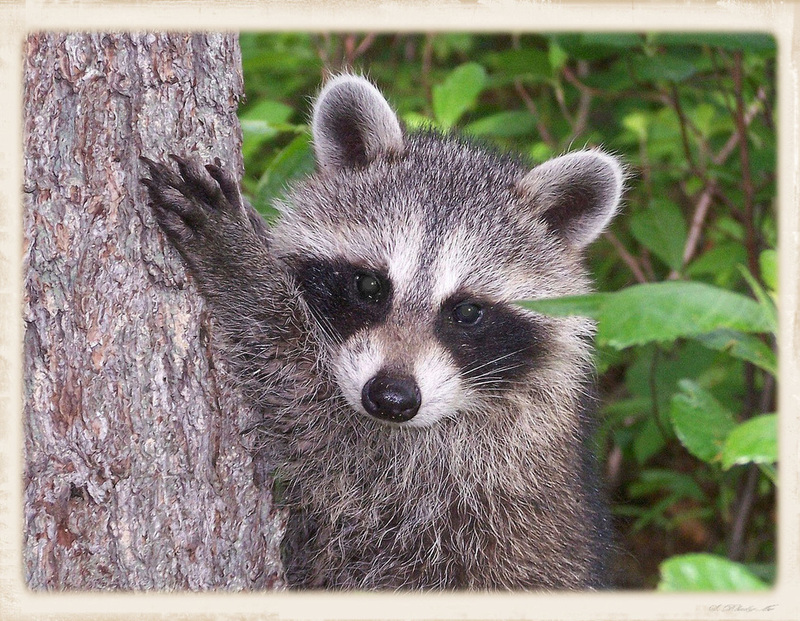 To provide humane and compassionate rehabilitation to injured and orphaned wildlife with the goal of returning them back into their natural habitat. 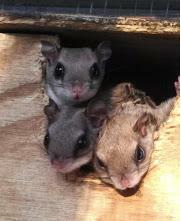 To provide the community with a general awareness of wildlife, and assist and educate them with wildlife issues. 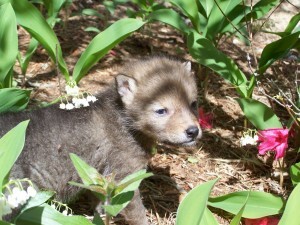 To promote the conservation of wildlife and wildlife habitat. There are many simple ways you can help support NEW ARC! be matched! Mark your calendar and help us reach our $1000 goal to help us continue to help the many injured and orphaned wildlife patients that come our way. Donations are greatly appreciated, and tax deductible! 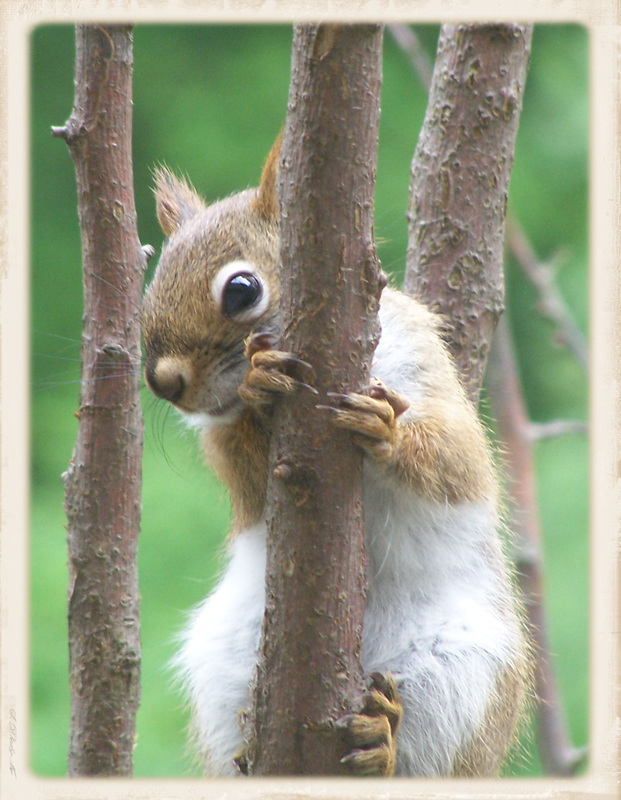 Visit our Zazzle store for some great wildlife gifts! In the beginning, our story in the Boston Globe. A little bit about each of us! Initially working individually, we discovered we are equally dedicated to helping these animals and have formed a great friendship and an awesome team. Together we handle approximately 40% of the orphans in Northeast MA. Though we all take in whatever mammals come our way, we each have our specialties! Working as a team allows us to fit each animal in where it is best suited, allowing for more efficient care and a the ability to handle a higher volume of animals in need. 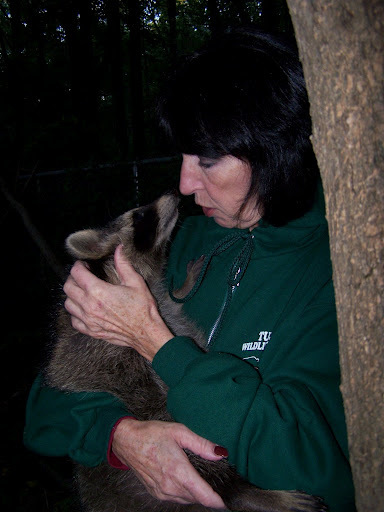 Specializing in groundhogs and skunks, she has been involved helping wildlife rehabilitators since the 70's and was on the board of WRAM (Wildlife Rehabilitators Association of Ma) for 4 years. 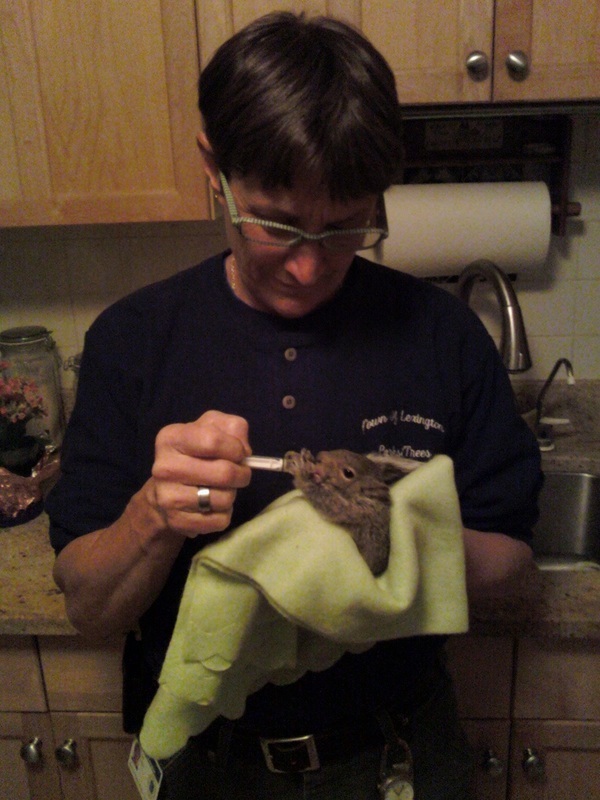 She became a certified wildlife rehabilitator in 2005 and WCP Wildlife was born. I don't think there is a species out there she's not knowledgeable about and she usually has the most varied menagerie of species in her pens. Member of WRAM, NYSWRC & NWRA. as well as squirrels and an occasional possum or raccoon! She is also very active in domestic rescue, fostering puppies for Pawsafe whenever necessary! When it comes to fundriasing, she is amazing at getting businesses to part with their products and donate items for raffles, as well as items needed by us for the care of the animals. Member of WRAM & NWRA. Her first job was volunteering at McGrath Animal Hospital at the age of 15. She continued to work there until going to college and getting her B.S. in Animal Science, then again,part time, after returning to the area in 1999. In between taking in any orphans that came her way...wild or domestic! 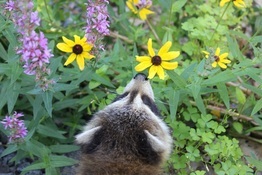 She became a certified wildlife rehabilitator in 2006, after a police officer brought an orphaned raccoon to her and said "What do we do with this?" 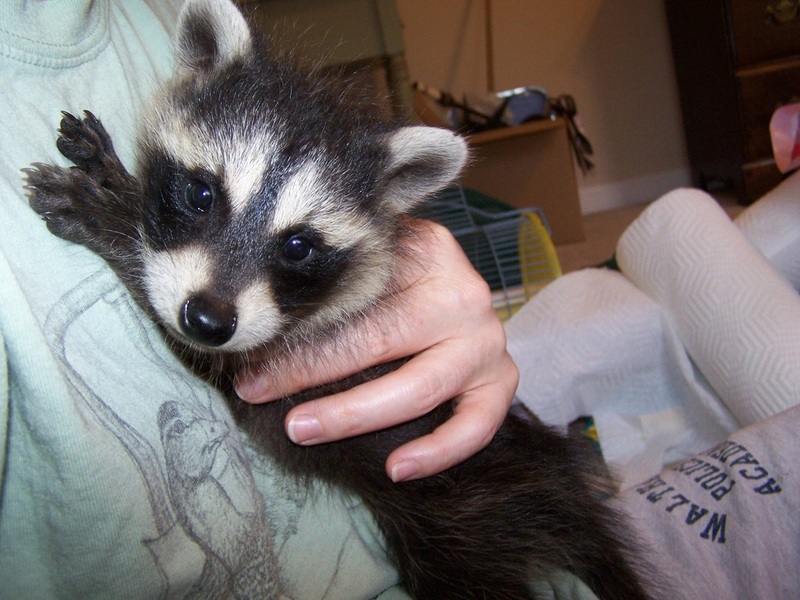 Rascal Rescue was born, specializing in raccoons. Not limited to wildlife, she is an Animal Control Officer and she's a sucker for anything furry in need with 6 rescued cats and 4 dogs. Member of WRAM, NYSWRC & NWRA. 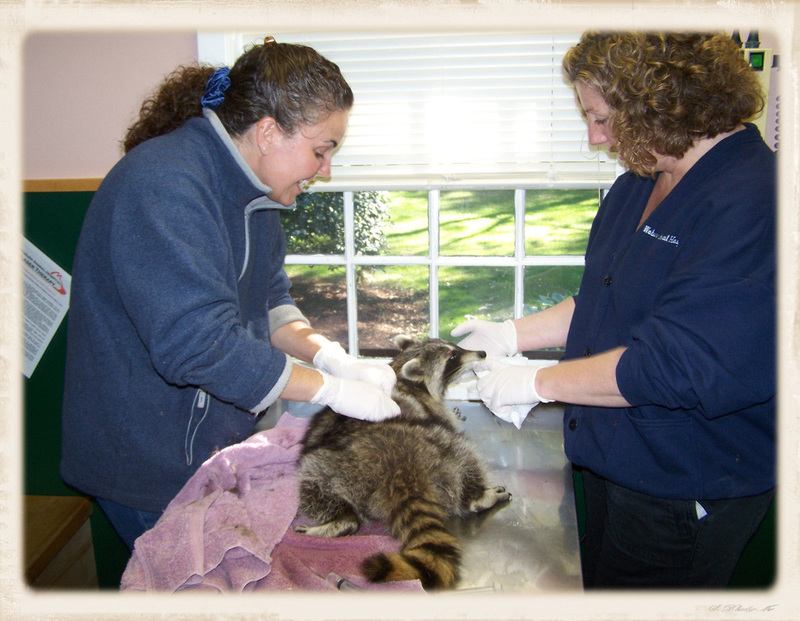 She has been working at Woburn Animal Hospital (who care for the bulk of our injured wildlife!) 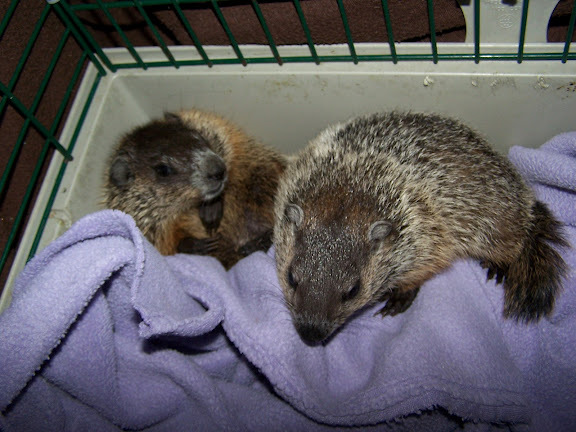 since high school, always taking in injured & orphaned wildlife brought into the clinic. She has also done volunteer dog training for 15 years. 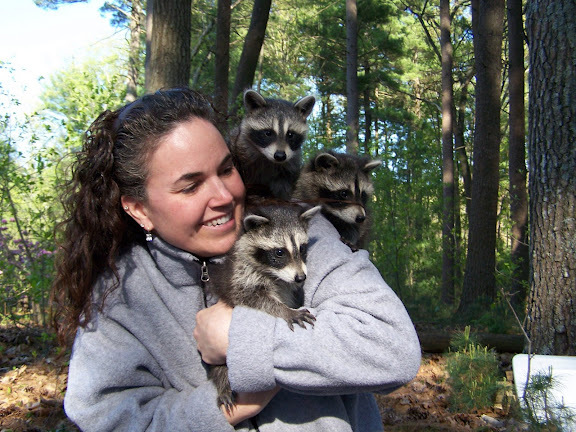 It was only natural to take the next step, and after her first orphaned raccoons were brought to her in 2007 she became a certified wildlife rehabilitator specializing in raccoons, red and gray squirrels and possums that require tube feeding! She also does quite a bit of fostering for the MSPCA from hamsters to momma cats and their kittens. She provides them the care they need until they can be adopted. Member of WRAM, NYSWRC & NWRA. She worked at the Woburn Animal Hospital along side her sister Laurie for over 12 years. Then had TWINS! Talk about wild!! 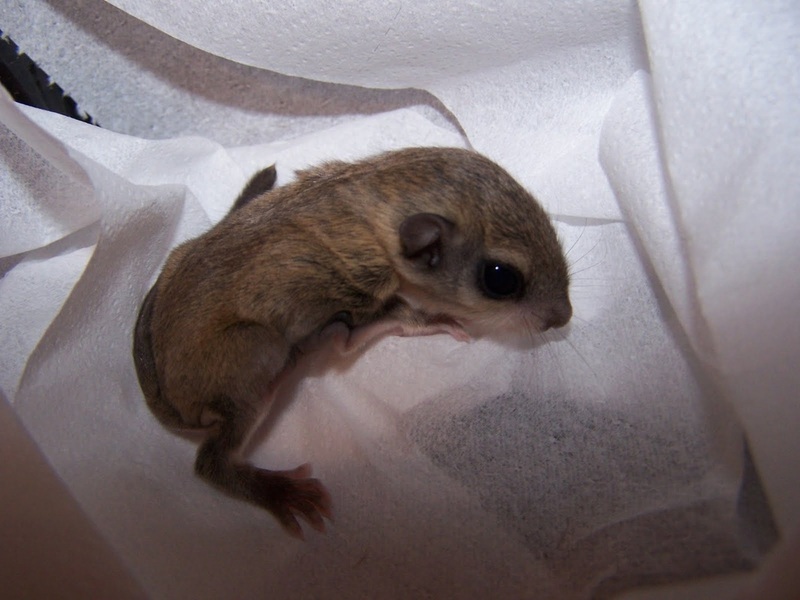 She has been a certified wildlife rehabber since 2009 and is also a member of WRAM, NYSWRC & NWRA, specializing in flying squirrels, but does them all. If you need it rescued, built, cut, moved, hauled or invented, Sue is there! Along with her husband, Jim, many a critter cage has been built or improved upon...some better than our own homes! She does it all, from helping care for the babies to transporting to picking supplies up. Always just a phone call away, when you need help with anything, Sue Squuurl is there! Member of WRAM & NYSWRC.